Over the years, Raewyn Connell's concept of hegemonic masculinity has dominated masculinities literature. Hegemonic masculinity is not something that an individual person or group of people have (or do not have); it is a project in which individuals engage, with greater or lesser degrees of success, and thus there are a multiplicity of possible masculinities in operation at any one time (Connell, 1995). Masculinities in Transition's contribution to this field, however, is in documenting the multiple masculinities a single man can have or perform in different spheres of his life and at different times over the life course. Robinson and Hockey attempt to understand how men navigate masculine identity during transitional periods, in which they traverse temporally and spatially between domestic life and employment. The goal of Masculinities in Transitions is to explicate how men reformulate and make sense of their masculinity, as they shift between sometimes competing masculine paradigms. The book offers rich empirical data in order to challenge understandings of hegemonic masculinity as static and delocalised, but also, crucially, to challenge hegemonic masculinity as something (some) men either have or don’t have. Masculinity, Robinson and Hockey show, is an agential project, something constituted and frequently changed by men themselves, as they align with or reject traditional and/ or occupation-specific forms of masculine identity. The book is divided into three sections. Part 1, Transitions, places the gendered dimensions of work and home life in historical context, and provides an ethnographically informed theoretical background, interpreting masculinity as a performance that varies over the life course and that involves the arrangement and rearrangement of bodily and psychic resources in intricate rituals of positioning and identification. Parts 2 and 3, entitled, respectively, Embodiment and Emotionality and Masculinity and Gender, explore these issues of bodily and psychic mobilisation more narrowly. Robinson and Hockey's data set consists of interviews with 54 men from three different occupations—firefighting, estate agency and hairdressing. These three occupations were chosen because they reflect a continuum of masculine occupations, with firefighters representing a more traditional masculine occupation, estate agency operating as a middle ground and hairdressing representing as a more feminine occupation. One of the more successful parts of the book is its ability to fill the gap left in current masculinities scholarship that treats home life and work life as essentially discrete spheres: while masculinities literature has traced how masculinity is performed in various arenas, it frequently neglects to acknowledge and trace the interactions between these spheres and therefore the ways masculine performances vary across space and over time. The authors found that the distance—both spatial and imaginative—between work and home, colleagues and family formed a liminal time/space. Participants frequently managed dissonant home and workplace identities through ritual processes. For example, Mickey, a firefighter, required ‘Mickey chill time’ for an hour before the start of a shift, and Tony required ‘getting out of the suit’ and mixing a ‘gin and tonic’ (p. 132). Interestingly, Robinson and Hockey choose to interview female partners as well; this methodology put into even sharper relief the relevance of non-work-related environments in shaping men's subjectivity as men. 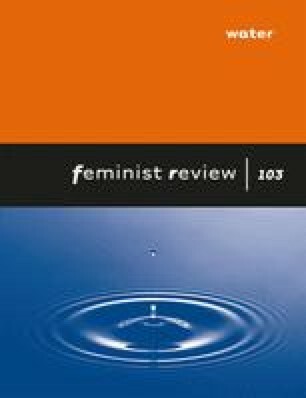 Furthermore, they reveal that the so-called ‘crisis of masculinity’ and the feminisation of occupational demands do not necessarily translate into gains for women: in interviews, Robinson and Hockey found that ‘the instabilities and disjunctions which emerged within these men's lives, at times, bound women more securely than ever to traditional gendered roles’ (p. 33). It is not, however, entirely clear why or how this is so. Feminist scholars, most notably Gayle Rubin (1975) and Eve Kosofsky Sedgwick (1985), have argued that heterosexuality is based on a foundational homosociality, and the subjugation of women is an almost second-order phenomenon that occurs during the formation and strengthening of male bonds. Robinson and Hockey's discussion of how male bonding was enabled through going out with workmates or ‘the lads’ points in an interesting direction: men frequently ‘foster[ed] homosocial connections through the identification of shared problems with ‘women’’, generally women wanting ‘more commitment’ (p. 174). This is a unique and valuable and yet underdeveloped angle; the book as a whole could have benefited from a more carefully delineated exploration of the ways in which patriarchy is maintained (or dismantled) through relationships between men and women and men and men. In all, however, Masculinities in Transition is a worthwhile read. It begins the work of transitioning from ‘hegemonic masculinity’ to ‘the hegemony of men’ (Hearn, 2004: 62–66), and of charting, empirically and ethnographically, what men actually do, why they do it and why, sometimes, they start doing something else.